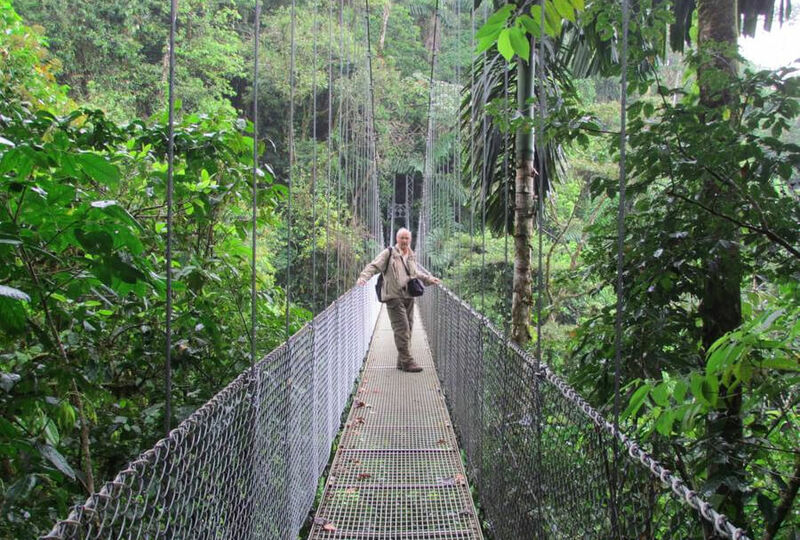 The Arenal Hanging Bridges at Mistico Park is a beautiful, environmentally-friendly nature project located near the Arenal Volcano for walking tours. 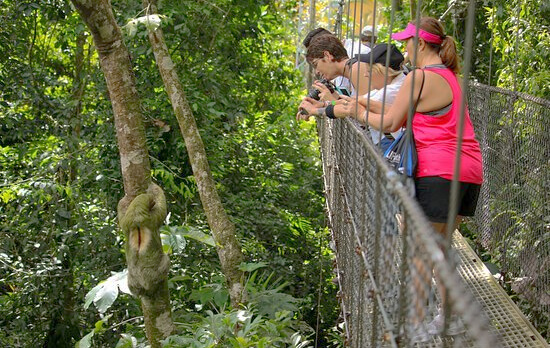 If you are wondering where to see the Costa Rica rainforest, this is a perfect hiking and walking activity for families with young children because there is always plenty to see and you can pick and choose the walking trails you'd like to hike in the Costa Rica rainforest. One of our professionally-trained, bilingual naturalist guides will pick you up in your hotel and drive to one of the best view points of the Arenal Volcano high a top a hill across the valley from the iconic volcano. 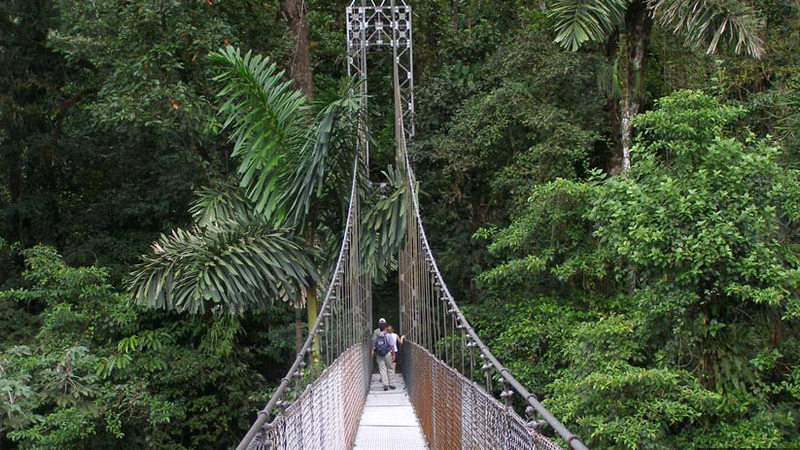 There are trails and bridges that bring you as close as you could ever hope to get to the birds, flowers, and the lush vegetation of this primary rainforest. 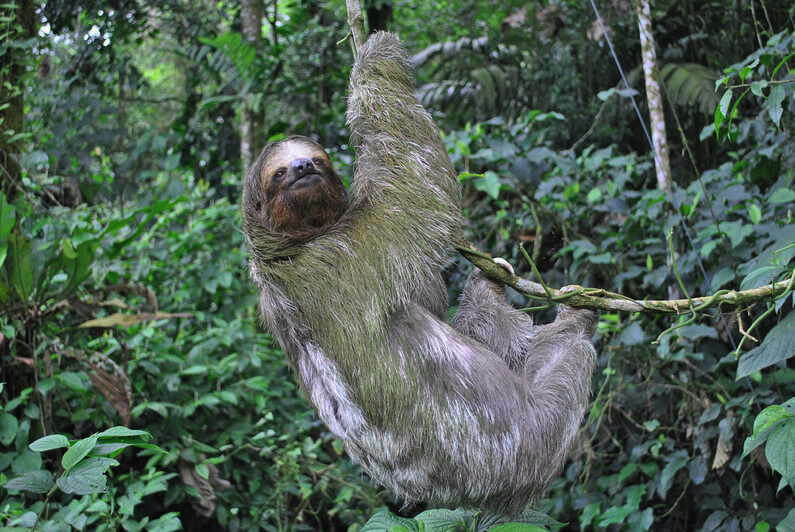 This is the perfect tour for nature enthusiasts visiting Costa Rica! The trails are designed for all ability levels and cover a total of about 2 miles. Once you are on walking along, you will be able to admire the great diversity of flora and fauna typically found in the tropical rain forest and also have the opportunity to see may different bird and plant species. 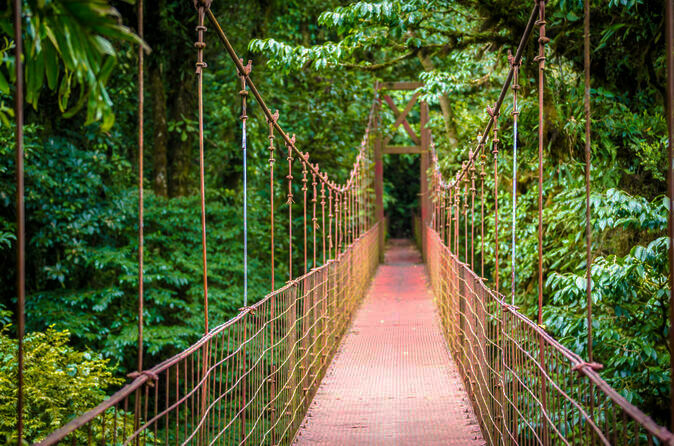 Walk right into the forest along several stretches of hanging bridges overlooking the tree canopy along easy, safe and beautiful trails with views of the Arenal Volcano. 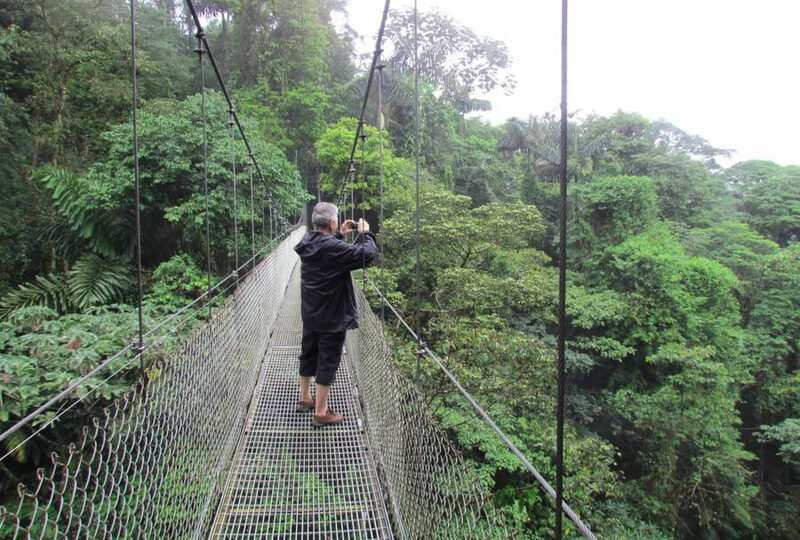 The last time I was at the hanging bridges at Mistico, I was astounded by the amount of bird life visible. An irridescent, bright green and blue-ish Torquoise-browed Motmot was less than two feet away along the base of the trail. I was able to snap some great shots. I was worried that our 6-year-old would tire of the walking, but she kept up the pace and marveled at the pit viper snake our guide pointed and splashed a bit in the waterfall at the bottom of one of the walking trails. It is important to wear good footwear, such as closed-toe shoes like tennis shoes or hiking boots. Small-group experience, professionally-trained naturalist guide, roundtrip transportation, entrance to private reserve. Bug repellent, camera, binoculars, closed-toe shoes such as tennis shoes or hiking boots, rain gear.